What if using primary sources is so difficult that many of our students just aren’t able to do it? Could we just be wasting a bunch of time that would be better used with direct instruction? As I travel around the state and the country, I hear this question often enough that it’s no longer a surprise. And it’s a valid question to ask. We should always be thinking about best practice and why specific strategies are better or worse than others. Because kids really are not developmentally ready to analyze primary and secondary source evidence, I need to continue my current practice of lecture, note taking, textbook reading, and multiple choice assessments. My answer to the question? Student of all levels can think historically, analyze evidence, and solve problems using that evidence if the activity is structured appropriately. I only have to start with this example of photo analysis by kindergarten students. Or this one with third graders. Or one of these two middle school examples here and here. Or this one with high school juniors. Or maybe this high school lesson about corroborating evidence. So nothing wrong with having a conversation about the validity of having students use primary sources as part of the learning process. But let’s be clear. It’s not about kids thinking historically. It’s about how best to do that. Should we use primary sources as part of the historically thinking process? And if the answer is yes, what should that process look like? In an incredibly useful article, Dr. Jeffery Nokes from Brigham Young University addresses this question from a unique perspective. He acknowledges that using primary sources can be difficult but the return on investment is worth it. He continues by providing specific examples of what that can look like. In some variation or another, these are the things I hear from those looking to find reasons for not making a shift in instruction. And if Nokes had finished the article with just this list, I might be inclined to agree with them. 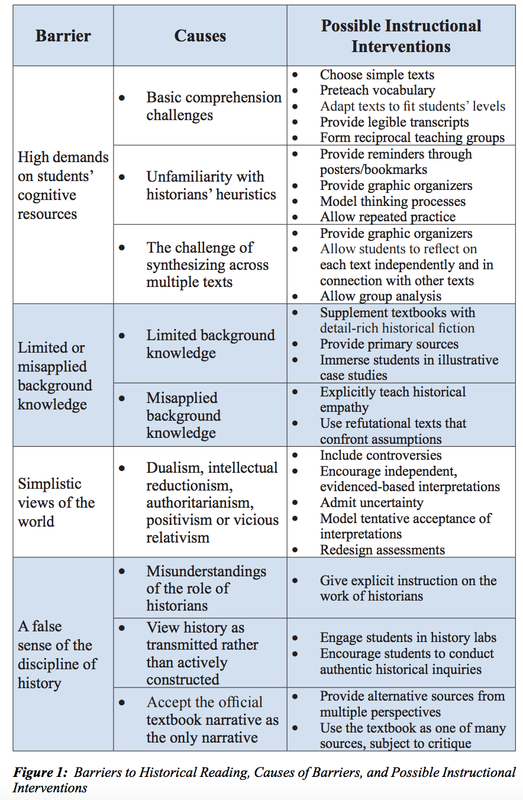 To counter his four “reasons” for not using primary sources, Nokes provides 27 very specific strategies and interventions that can be used by teachers and students to offset the barriers. It’s a long read but you’ll want to power through it. The article is perfect for a jigsaw PLC or department meeting so maybe go that route rather than tackling it alone. But you need to spend time with it somehow because you’ll walk away smarter and better teacher. You might also be interested in some of the other things Nokes has written, including a shorter article titled Getting Students to Think Like Historians. It also provides specific examples of what appropriate use of primary sources and historical thinking can look like in your classroom. 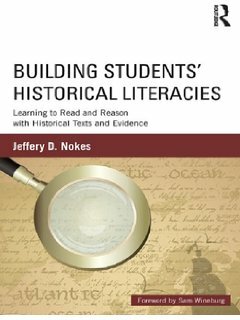 And if you’re really serious about it, he has a great book that goes into much greater detail titled Building Students’ Historical Literacies: Learning to Read and Reason with Historical Texts and Evidence. It addresses literacy from a historian’s rather than a literacy specialist’s point of view and highlights a broad range of texts including those that historians and non-historians both use and produce in understanding history. And like his articles, the book includes a wide variety of practical instructional strategies immediately available to teachers.